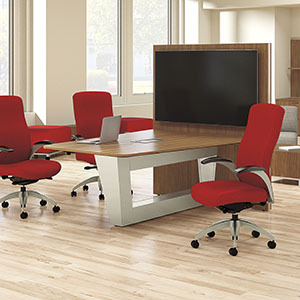 Mio collaborative tables create are versatile and highly functional. With single-sided and double-sided units, and a variety of worksurface shapes, sizes, and materials, Mio embraces the evolving work culture. Available at desk height or bar height, Mio adapts to any style and any application.